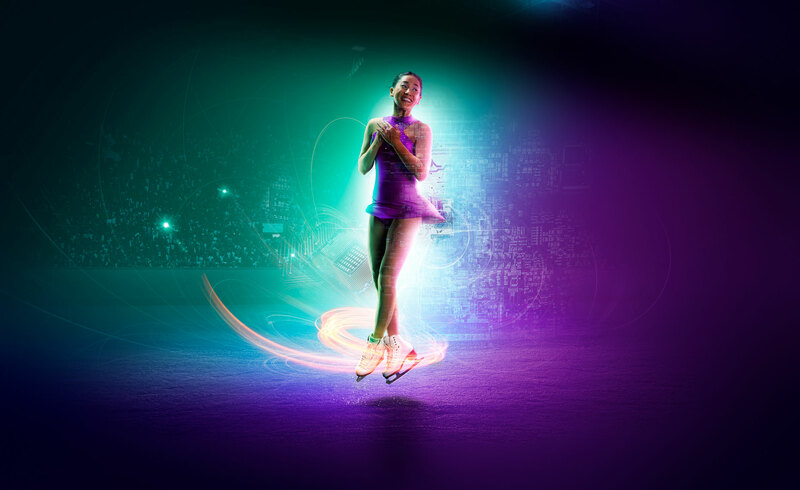 Action portrait of a smiling woman athlete figure skater spinning in mid air surrounded by CGI effects. Image made for Intel in partnership with The International Olympic Committee. © 2017 Robert Randall Photography.